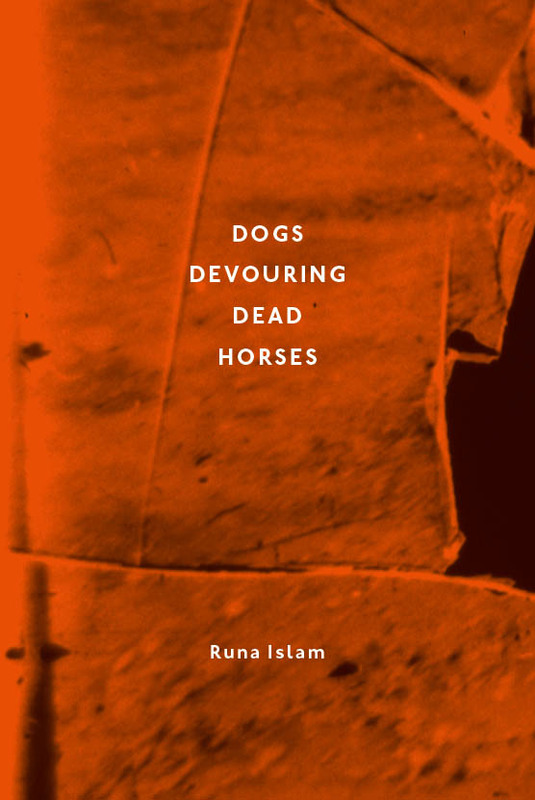 This volume, ‘Dogs Devouring Dead Horses’, stems from a collaboration between the artist Runa Islam and the designer Manuel Raeder against the backdrop of the exhibition she held at the Museum of Modern Art in New York (Projects 95: Runa Islam, 27 May–19 September 2011). This collaboration attempts to give another form to the works after the event of the exhibtion has passed. The artist provided Raeder with stills from the four films on show: ‘Emergence’ (2011), ‘This Much Is Uncertain’ (2009–2010), ‘Magical Consciousness’ (2010) and ‘The House Belongs to Those Who Inhabit It’. (2008).